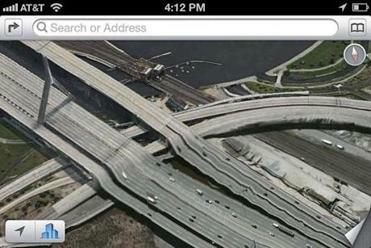 Why does Fenway Park look so strange on Apple’s maps? What happens when Red Sox Nation meets Obsessive Early Tech Adopter Nation? 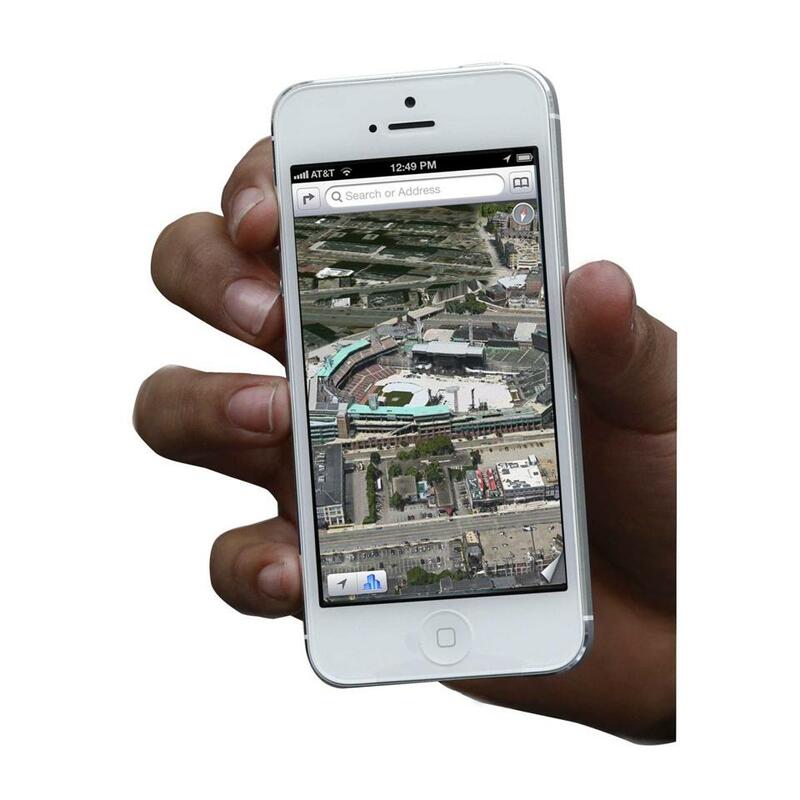 Within minutes of the release of the iPhone 5 on Sept. 21, Apple fans across the country had burrowed deep into the crevices of the phone’s innovations—in particular, the upstart Google Maps competitor that came packaged with the new iOS 6 operating system, Apple’s own Maps. For a certain kind of New England iPhone wielder, however, there is one true test of a map product’s merits. What do you get when you search for the green heart of the city? By that, of course, I mean not the Public Garden (which, as local cartographer Andy Woodruff mentioned to me, Apple mislabels in plural as the Public Gardens). No, the real test is to plug in Fenway Park. Fenway Park pops up on Apple’s Maps with perfect clarity, cradled by Lansdowne Street and Yawkey Way. But in the overhead view of the ballpark itself, there is something strange. It appears to be carpeted in white. Peculiar towers rise near home plate and in the outfield. Along the Green Monster sits some kind of long collection of bulky white and black and gray platforms and objects. As Red Sox/iPhone fans asked each other this week, what in heaven’s name was going on? Apple issued an unusual public apology for the in-house mapping software that replaced Google Maps in its iPhone as users complained about bad directions, scant detail, and bizarre images. In fact, Apple’s strange white ballpark is not an error; it’s a timestamp. Those towers and the white tarp and the long stage in front of the Green Monster mean that Apple’s aerial image captured Fenway at an anomalous moment: one when it was holding one of its rare concerts. A brief mystery was born: Which concert was this—and, accordingly, when was Apple’s Fenway photo taken? The truth can be found right in that long stage. Only one recent concert has employed that setup, sources at Fenway confirmed: the highly theatrical July 1, 2012, show by Pink Floyd’s Roger Waters, The Wall. Given the pristine condition of the tarp, we can say pretty safely that this photo was taken before that concert. iPhone 5, what you’ll see is a ballpark in costume as a rock stadium, like an ID photo that captures you dressed for Halloween. It’s no mistake; it’s fun, there can be no doubt about when it was taken, and you may want to hang it on the fridge. But as far as capturing the true spirit of Fenway, Google Maps—which shows the ballpark as a timeless green oasis—has Apple beat for now.